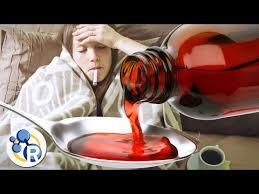 There is very little evidence cough syrup is effective at treating coughs. In one review, 15 out of 19 studies analyzed showed no benefit, or the results were conflicting. Other reviews have similar findings; the researchers say there is “no good evidence for or against the effective of OTC medicines in acute cough.” There is no guarantee that cough syrup will do anything for our cough, though it could help us get a better night’s sleep. Taking larger doses of DXM can cause dizziness, uncontrollable eye movement, convulsions, and even death, and it’s especially dangerous for young children — thousands of kids under 12 are sent to the emergency room every year because of accidental overdoses on cough medicine. 1. How do you treat coughing? What are the known treatments of cough that are commonly recommended by your doctors?